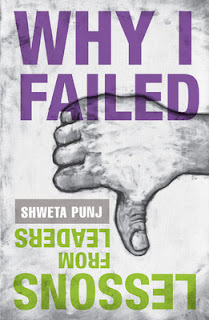 Why I failed - Lessons from Leaders by Shweta Punj attracted my attention since most of the books on business/self-help talks about success or how to succeed. 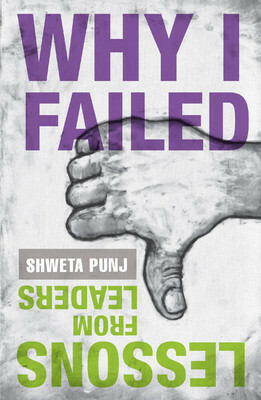 This book is a collection of failure stories by well know personalities. I started readin it with an expectation to get a different perspective; but to be honest it disappointed me. Most of the failure stories are told at a very high level and fails to describe the details. I am sure most the readers wanted that extra-piece of narrative on what happened, how it happened, its consecunces and how leaders overcame it. Sometimes I felt the book is just another one talking about success and how to succeed :) The only piece of thought I could take out of the book was - everyone including the leaders that we adore goes to phases of failure. Overall, a good read; but don't over-expect. I felt it to be more how they succeeded stories than failure stories!